Absi Awards' Guidelines Archive include illustrated articles and guidelines to make your awards' purchasing experience more fulfilling. It includes articles about Absi Awards and Recognition Systems covering: Absi Medals, Absi Trophies, Absi Plaques, and Absi Personalized Gifts and Mementos. We hope that this wiki will be eventually developed into a reference about the subject matter. All information is given in good faith but without warranty. Freedom from patent rights must not be assumed. To make a personal statement. Key fobs are also known as a "Key Ring" or "Key Chain" in colloquial usage. A keychain or key chain is a small chain, usually made from metal, that connects a medal to a keyring. The length of a keychain allows an item to be used more easily than if connected directly to a keyring. A keyring is made to hold keys and is usually made of metal. Keyrings are usually connected to keychains. Make sure that the recipient, as well as the audience understand the importance of the award. What does it stand for? How does someone earn it? What are the traditions associated with this honor? Now that you’ve built up the award, you need to build up the person receiving it. What did this person do to deserve the award? How did they meet the criteria better than anyone else who was up for the award? There are ways to make this sort of presentation more effective. There is nothing more gratifying than recognition from your peers and colleagues for a job well done. We all strive for acceptance, and recognition is a reflection of belonging, a basic human need. In the following paragraphs we will discuss how to present an award tactfully, graciously, and professionally. First, make sure that you have all the information correct before you get up to speak: the honoree’s correct name and how it is pronounced, the correct title of the award, and the details about the honoree’s accomplishments that you are about to share. The spotlight will be on you, and your accurate delivery will be crucial to the happiness of the occasion. When presenting an award, the key is to focus attention on the honor and the person receiving it—not on yourself. You may have been part of the committee that chose the winner, or involved in some other way, but your role should never upstage that of the person being honored. You can focus the attention on the recipient in two ways: surprise or direct acknowledgement. In the surprise approach, you mention characteristics of the person receiving the award without initially mentioning their name—allowing the audience to start guessing who it might be. You may mention a list of accomplishments, or perhaps a positive story. With the surprise approach, you share the information that is sure to reveal the recipient’s identity right before you present the award. You may prefer, however, a direct acknowledgement of the honoree’s performance or service and simply announce his or her name. The direct acknowledgement approach is typically followed by the reasons for choosing this person to receive the award, or include his or her past accomplishments. This direct strategy may be preferred if the audience is not familiar with the recipient. Tell a story about the significance of the award. Pronounce the recipient's name correctly. Provide background on the recipient. Hold the award respectfully and hand it to the recipient as if it were a treasure. Wait to invite the recipient to the lectern until you formally introduce them. Stand so that the audience can clearly see you, the recipient and the award. Awards’ ceremonies are special occasions. If you're the one doing the presenting, a little planning can make the moment even more meaningful. Whether you're hosting a large ceremony or presenting the award by teleconference, keep in mind a few tips to make it a thoughtful success. Read on to learn how to present an award. Order the award in plenty of time. Start shopping for the award early and discuss turnaround time with the vendor. Allow enough leeway to return the award if it is not correct and get a replacement. Plan the presentation. Whether you are inviting many people and having a formal ceremony or just a small get-together, attend to the details well in advance. Consider where the event will take place, what kind of attire will be worn, what kind of food or refreshments will be served and how many will be invited. Notify the media. Newspapers reserve a special section for awards and presentation news. They will come as a guest to the award presentation or they will lend you a news camera and ask you to take a photo and provide the details. Assign someone to snap the photo when you are handing the award to the recipient. Practice your speech. Take some time to write down what you want to say and rehearse it in front of the mirror, watching how you look and move. When you're ready, present it to family and friends for their reaction. Allow enough time to make any necessary changes and rewrites. Videotaping your speech is an excellent way for you to assess the aspects of your talk that need work. Presenting an award is almost as much of an honor as receiving it. Awards are a tangible symbol of recognition for an accomplishment or a job well-done. Presenting or accepting an award may be an honor, but coming up with a speech is a challenge. Consider some ideas for an award speech to assure that special moment won't be overshadowed by a tongue-tied presentation or a faux pas. Some people are intimidated when given the task of speaking in public. Use a joke or story to lighten the mood and to put both the speaker and audience at ease. Your joke could be as simple as a one liner found in a book or can be a good-natured jab at the speaker himself. Avoid off-colored humor that is sexiest, racist or potentially offensive to anyone in the audience. Short and humorous stories about the speaker's children or pet is something a lot of people can identify with. Both an award presenter and the the person who receives the award should have a solid knowledge of the significance of the award. The presenter should give details about how the winner was selected and about why winning the award is a worthwhile honor. For instance, a presenter could tell the audience that the winner was chosen out of a group of 100 potential nominees. A presenter should explain that the award was given to the winner because she made the most sales or met her goals or because she was voted on by her peers. The recipient of the award should detail why he feels so honored to win the award and recognize the accomplishments of the other nominees. A presenter should introduce himself as soon as he steps to the podium. He should give his name, position and why he is presenting the award to establish credibility. Establishing credibility is important, as it helps the audience to understand why the presenter was chosen for the task. For instance, the presenter might be an expert in the same career field as the award recipient and therefore knows the person and her accomplishments first hand. A presenter may be a personal friend of the recipient or even a fellow nominee for the award. A presenter should also introduce the winner of the award by giving background information about him for those in the audience who may not be familiar with the winner. Use photo slides and other props as visuals during an award speech. Show pictures of past winners of the awards or some of the current winner's significant accomplishments. Refer to the photos in a speech to help the audience follow along. An acceptance speech should include a message of thanks. A recipient should thank parents, spouses, children, co-workers, mentors, bosses and colleagues. Other people to thank include corporate sponsors and other award nominees. People are more engaged with stories. So highlight the award and the honoree in the form of a story. Call on the awardee last … nothing is more awkward than having to stand there and wait while you do your presentation. Tell your story first, then, when you are ready to hand over the award, call the awardee up to the lectern. 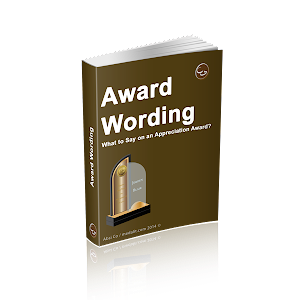 Make sure that you know how to pronounce the name of the award and the person receiving it. Also, make sure your facts are correct. Nothing will spoil the honor more than mispronouncing someone’s name or announcing information that is totally wrong. You may have been on the selecting committee, but this presentation is about the person being honored … not you. The presentation should be mostly about how wonderful the honoree is and why they are so deserving of this honor. Hold the award as if it were a treasure. Make eye contact with the recipient, smile warmly and hand over the award with reverence. Display your medal with style in a meticulously crafted and finished presentation case. The case adds prestige and authority to the medal while simultaneously providing its recipient means to protect his or her prize, store it easily, and transport it safely. You can choose from a number of off the shelf items, and we excel at customizing a display case to match your medal. View the White Paper version of this article. Airtight direct fit medal or coin capsules are made of acrylic, they are hard, crystal clear, and consist of two pieces: cover and base that snap together providing superior long-term protection for your medals or coin collection. 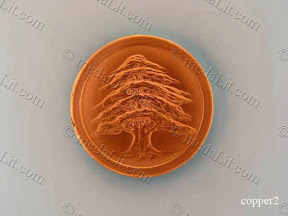 These coin capsules are produced in several sizes to fit the following medal diameters: 35, 40, 50, 60 and 70 mm. Elegant but economical. The Budget Medal Case is a great way to present the medal to its recipient, the tray which holds the medal can be tilted for display or folds flat to allow the case to be closed for storage or transport. The case size is: 122 x 85 x 17 mm. Sized for up to 80 mm medals. This case is 117 x 117 x 43 mm and is made from beech wood or maple. 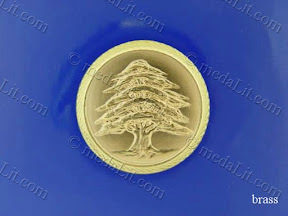 The rich color and elegant finish make it an excellent choice to proudly display your medal and to store it as well. The tray which holds the medal has a tilted position for display or folds flat to allow the box to be closed for storage or transport. The case interior and the tray are covered with velvet. You can choose the interior color to be: dark red, dark blue or dark green. The case is boxed in an assorted color carton box which can be further customized for your event through foil stamping the outside cover with your logo or message. Same as the Deluxe Wooden Case but accommodates a 70 x 25 mm engraved brass plaque finished to suit the selected medal finishing and used to personalize this prize. Case size is 155 x 187 x 43 mm. The Fantazy Wooden Case is an excellent choice to proudly display your medal, protect it and store it as well.Your medal is protected in an Airtight Coin Capsule and is presented in a wooden case. The tray which holds the medal has a tilted position for display and folds flat for storage or transport.This case can accommodate your business card or gift card nicely inside; it is also suitable to display double sided medals. The case size is: 125 x 105 x 30 mm. The case is boxed in an assorted color carton box which can be further customized for your event through foil stamping the outside cover with your logo or message. Same as the Fantazy Wooden case but accommodates a 70 x 25 mm engraved brass plaque finished to suit the selected medal finishing and used to personalize this prize. Case size is 135 x 135 x 30 mm. This glass-polished bordeaux-colored wooden case is distinguished by a rich color, elegant finish and a wide display area, these features make it an excellent choice to proudly display your medal and to store it as well. The Case size is 180 x 160 x 28 mm. The case is boxed in an assorted color carton box which can be further customized for your event through foil stamping the outside cover with your logo or message. This case can accommodate medals of different diameters starting from 50 up to 100 mm in addition to a personalization plate.